This is a month when your emotional outlook and interactions are going to come into particular focus. Where you live, who with and how, can also be important strands. Fortunately, the 6th can see an improvement in your financial circumstances. Your mind will also step up a gear from the 3rd, but choose your words carefully from the 9th. A relationship logjam is eased from the 9th. The month begins with the Sun squaring up to the dreamy energies of Neptune. Some care may be needed when dealing with any financial issue which can influence your future or concerns anyone you know well. This is the time when you need to stay very clear minded in your approach. However, the planets conspire to help you hugely in this regard, in the last ten days. 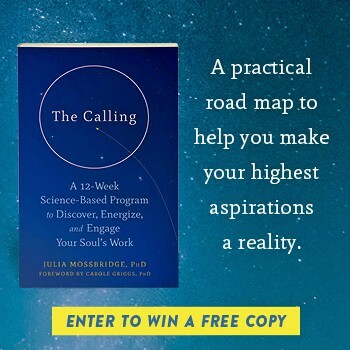 When it comes to a professional aspiration, someone you encounter in the first week of this month may believe that you’re not being realistic. Although this could dampen your spirits, try to see that actually they may have a point. June is a time when you need to be very earthy in your approach and seek out tangible results. But creativity is re-sparked from the 9th of the month. With Mars arriving in your zodiac sign for a six week occupation on the 5th, this is going to give you much more punch and a sense of purpose in your approach, but particularly from the 21st when the Sun and Mercury arrive too. You will need this, because from the 12th to the 21st, you may find yourself questioning your approach. But you can rekindle your belief as the month unfolds. That old saying of business and pleasure not mixing can hold particularly true in the first week. However, the 7th gives you an opportunity to think carefully about the people that you wish to be closely involved yourself with, and the 9th can be a further pointer in this regard. In fact, the rest of this month could see you deciding to thin out contact with those who are no longer truly relevant. Someone you encounter in the first week of this month may prove to be a little bit unreliable, and especially linked to your work. Yet ironically, this can be a month when the contacts you have and the people you network with can prove to be incredibly important. Mind, the last four days of this month could throw up some intense scenes, and especially around your love life. Because you can be a very obliging person, the early days of June ask you to firm up your boundaries, for otherwise other people’s expectations could be a drain on your need to be a free spirit. The great news however, is that Jupiter in your sign goes into forward motion from the 9th and your ambitions can also take a big step forwards in the last ten days of this month. The lovely Venus moves into your opposite sign on the 6th. This is going to give you an opportunity to create some real magic in all sorts of involvements. However financially, there may be some stop/start moments between the 12th and the 21st. Any limitations can seem to be that much greater. Your passion and conviction about a subject can become much clearer as the month ends. Your ruler goes into direct motion after tracking backwards since early February. If your future plans have seemed somewhat stymied since then, this change will help, though balancing your emotional expectations with long-term aims is still going to be a challenge. Saturn is also going to block both Mercury and the Sun between the 12th and the 21st, so relationships will require care. A situation that has proved unsatisfactory for some time can come up to the boil this month, but your desire to overcome any obstacles is going to be absolutely awesome. The trick however is to do so, but not in a way which proves destructive to key relationships. However frustrating someone may prove, nurture may still be a better approach than showing full-on frustration. Naturally a risk taker? You could listen to your hunches early this month and actually do well. If you’re not, try not to change the habit of a lifetime. June is a time which does give you a wonderful opportunity to demonstrate your talents, but only when you can back these up in a structured, practical and formulaic way. A secret opponent can show their hand late in the month. There’s so much to go for this month and so much positivity. Your physical vitality is going to leap, and your personal expression can also flow, most of the time pretty well. Mind, a clash between the Sun and Mercury, and the restrictive energies of Saturn from the 12th to the 21st, could see your personal space impinged upon. But real progress is possible from then.